The Jenn Aiel are an extinct faction of the Aiel. Unique among Aiel, they did not abandon the Way of the Leaf. During the Age of Legends the Da'shain Aiel were a people that worked as servants for the Aes Sedai. These people were sworn to serve the Aes Sedai and uphold the Way of the Leaf. During the Breaking of the World, at the command of Solinda Sedai, they were assigned to bring a cache of angreal, sa'angreal, and ter'angreal to the place of safety that would eventually turn out to be the site of Rhuidean. On That journey, the Aiel were attacked by bandits and suffered many hardships. This led to the first split of the Aiel people. Following a raid, some of the Aiel, led by Sulwin, decided to forsake the command of the Aes Sedai and instead seek out the Song of Growing. These people went on to become the Tuatha'an (The Tinkers). Later, after yet another raid, there was another split. A lot of Aiel abandoned the way of the leaf and left the wagons. The Aiel who remained true to their original mission and also kept to the Way of the Leaf adopted the term "Jenn," meaning "true" in the Old Tongue. After some Aiel children were kidnapped, a few young members donned their dust veils and launched an impromptu rescue mission. They were able to save the kidnapped members, but one of them, Lewin, accidentally killed one of the raiders. Because of this, Lewin was not allowed to return to the Aiel wagons. However, Lewin insisted that he was still Aiel, and followed the Jenn's wagons in order to provide protection. Over time, various other Jenn drifted over to follow Lewin, and their different attitudes eventually gave rise to the various warrior societies, septs and clans among modern Aiel. As time went on, the Aiel population swelled while that of the Jenn dwindled. 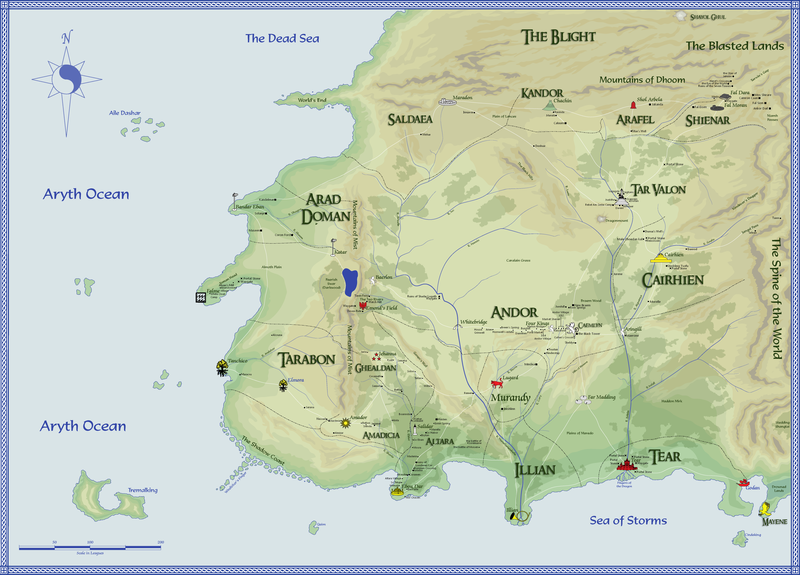 The Jenn, protected by the "Lost" Aiel, many of whom were descended from Lewin himself, founded the city of Rhuidean with the help of Aes Sedai that they had encountered. The city was originally intended as a cache of One Power objects and a haven for Jenn and Aes Sedai; however, there were too few Jenn to make this viable, and so a new purpose was introduced. A huge ter'angreal was constructed in the middle of Rhuidean, which would function as a test to select new clan chiefs and Wise Ones. This ter'angreal showed candidates the true history of the Aiel, in order that their leaders would know their true heritage.